Say goodbye to those pesky undereye circles and fine lines. 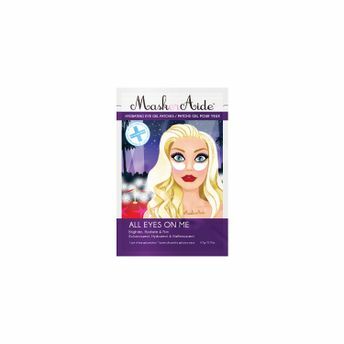 MaskerAide All Eyes On Me hydrating eye gel patches will brighten, hydrate and firm under eyes while giving you a long-lasting moisture boost. Improves skin cell density to help reduce look of fine lines, while also improving skin elasticity. MaskerAide hydrating eye gel patches are made from Hydrogel, which is an innovative concept of water-soluble technology that enhances the absorbing power of the skin by melting smoothly depending on skin temperature. Explore the entire range of Dark Circles & Wrinkles available on Nykaa. Shop more MaskerAide products here.You can browse through the complete world of MaskerAide Dark Circles & Wrinkles .